Rainpal with smart water leak and freeze protection. 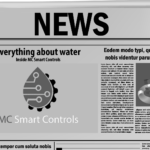 Founded in 2016, MC Smart Controls has a stated mission to conserve water in the residential, commercial, municipal, and agricultural sectors. 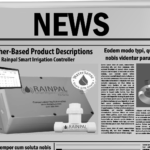 They are the manufacturers of the Rainpal irrigation controller which entered the market in 2016. The company maintains offices in South Jordan, Utah, USA and Santiago, Chile. It is a subsidiary of the Mani Group. The Rainpal is a standalone controller that is suitable for residential-type locations. The unit uses weather forecast and solar radiation data to estimate ET; this includes temperature, humidity, wind and solar radiation. Weather data can be collected over the internet from the closest weather station which is part of the weather service company Weather Underground or an on-site weather station can be installed and interfaced into the Rainpal. A computer interface is used to setup zones and watering information. The user enters basic information for each zone including vegetation type, soil type, sun exposure, typical/base watering times, and base cycle/soak intervals. The Rainpal is equipped with connectivity for a flow and rain sensor. Addition of the MC Smart Controls brand flow sensing unit (FL-1000) enables the Rainpal to have leak and freeze detection. 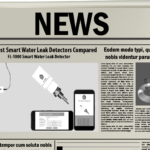 The user is notified via email of an issue and all the data collected by the sensor can be reviewed online or with the companion smartphone application. Note that the FL-1000 is not a flow meter but senses the movement of water and the water temperature. The Rainpal is compatible with most normally open or normally closed rain sensors. Data from the rain sensor is used to interrupt watering for the day. The ET algorithm used by the Rainpal includes adjustments for precipitation and suspended irrigation times. The Rainpal is also able to communicate with one of almost any industry standard sensors via a single onboard RS485 port. This could be used to connect a single additional sensor, for instance, a soil moisture, humidity, or solar radiation sensor. Any communication with the Rainpal is conducted via a computer or mobile device as the unit does not have a built-in screen or buttons. A companion smartphone application is also available for download from MC Smart Controls. The unit is typically connected to a local, internet accessible network through Wi-Fi or Ethernet; however, connection via a serial port is also possible, as well as 3/4G connectivity. The internet connection enables interaction with the controller from any internet connected device. If the controller losses access to weather data from the internet, conservation features such as freeze and leak detection still function. The unit will fall back to clock mode until internet access is restored. The Rainpal’s controls can still be accessed via its Wi-Fi access point. The Rainpal comes standard with the ability to act as its own 802.11 a/b/g/n Wi-Fi access point. This means that to interact with the unit, one does not need to connect to the Wi-Fi network used by the controller to access the internet (e.g. a home network). This feature could increase home network security by reducing the number of devices which have access to the network. For example, if one wish to allow a landscape professional to program the unit, the professional need not have access to the home Wi-Fi network but can simply connect a Wi-Fi enabled device to the Wi-Fi network created by the Rainpal irrigation controller. The Rainpal also offers the flexibility of allowing zones to be designated for functions other than irrigation. This enables the unit to function, for instance, as a timer for exterior lighting. The Rainpal comes standard in a NEMA 4X (similar to IP66) enclosure suitable for outdoor installation. The controller has a 12-zone capacity. The unit can be powered by either 120VAC 60Hz or 220 VAC 50Hz electrical power. The unit outputs 26.5 VAC at 1A of electrical power to the irrigation system. Internet connectivity can be established using Wi-Fi protocols 802.11 a/b/g/n or a hardwired, Ethernet connection. The unit can connect to a master valve or booster pump. Physically, the unit measures 10” L x 6” H x 3.5” W. The unit is intended to be wall-mounted. The Rainpal costs $250 for the 12-zone capacity model. The cost for the controller and MC Smart Controls brand flow sensing unit (FL-1000) – which enables freeze and leak detection – is $300. Rain sensors are purchased separately, and the Rainpal is compatible with most brands. 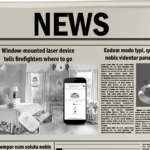 Currently all updates are free and no subscription fees are charged. Weather data subscriptions are also free in the USA. Each Rainpal comes with a 3-year, limited workmanship warranty (cost of shipping one-way not covered). According to MC Smart Controls, professional installation is not required, but does require some electrical proficiency. Once physically installed and wiring complete, the unit should be connected to via either an Ethernet cable or the Wi-Fi access point established by the Rainpal unit. Connection of the unit to a local Wi-Fi network can then initiated and irrigation scheduling setup started. Steps for unit installation and setup are presented in the user manual. 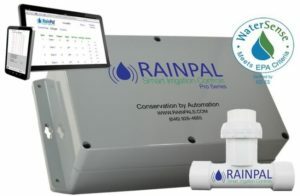 The Rainpal has received EPA WaterSense Certification. MC Smart Controls is now the owner of Brilliant Integrated Technologies (BIT), a company featured in the previous edition of this report. BIT’s ICS-ONE controller received SWAT testing. MC Smart Controls states that the Rainpal is the same controller and, therefore, claim ICS-ONE SWAT test results also apply to the Rainpal.